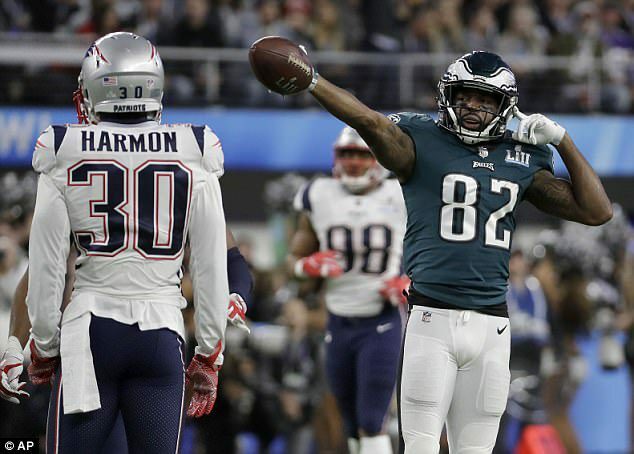 At least three Philadelphia Eagles players have said they will be skipping the team’s congratulatory White House visit after winning the Super Bowl for the first time in franchise history Sunday night. 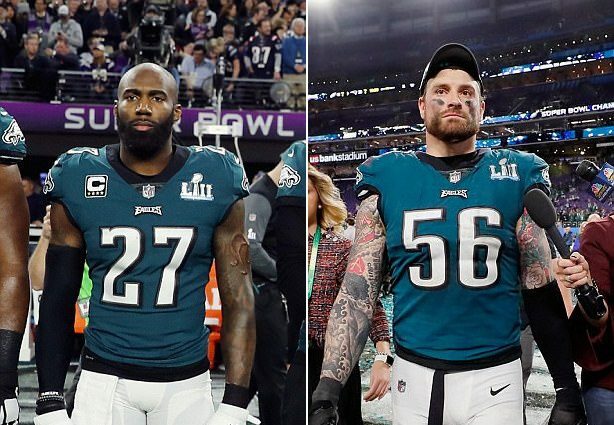 It is customary for the champion team to visit the White House after the game to meet with the president – but Malcolm Jenkins, Torrey Smith, and Chris Long have all said they will not be there. 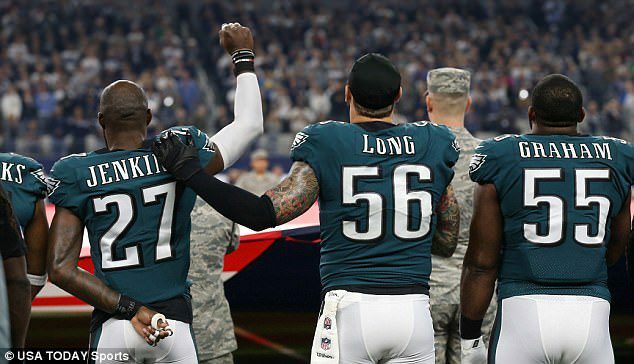 ‘Nah, I personally do not anticipate attending,’ Jenkins, who also raised his fist during the National Anthem on multiple occasions this past season, told CNN on Monday. And Smith, who also expressed solidarity with the Black Lives Matter movement by raising his fist during the anthem this past season, said he doesn’t approve of Trump’s war against players’ decisions to take a knee during the national anthem. President Trump has a contentious relationship with the NFL – and spent much of the fall clashing with players, coaches, and owners over their shows of protest and solidarity. 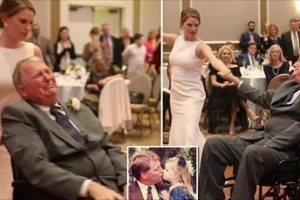 He called the decision ‘disrespectful’ to the national anthem and to soldiers and veterans who served to protect the United States. 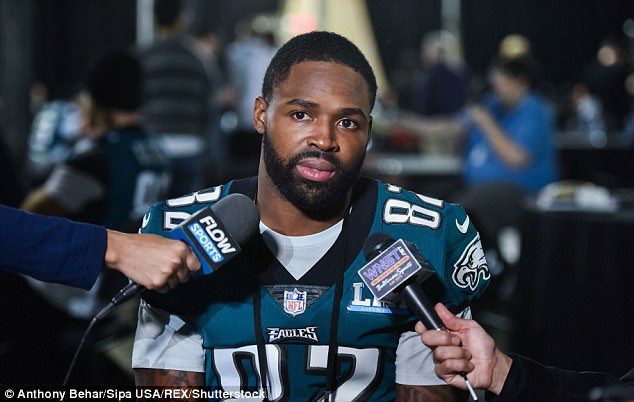 But it seemed like Trump might be willing to put aside those differences when he issued a congratulatory statement to the Eagles Sunday night. ‘Congratulations to the Philadelphia Eagles on a great Super Bowl victory,’ he wrote just after the shocking and historic win. Smith said last Wednesday that his decision to protest the anthem has nothing to do with disrespecting the anthem or troops. ‘They call it anthem protest, we’re not protesting the anthem,’ he explained. 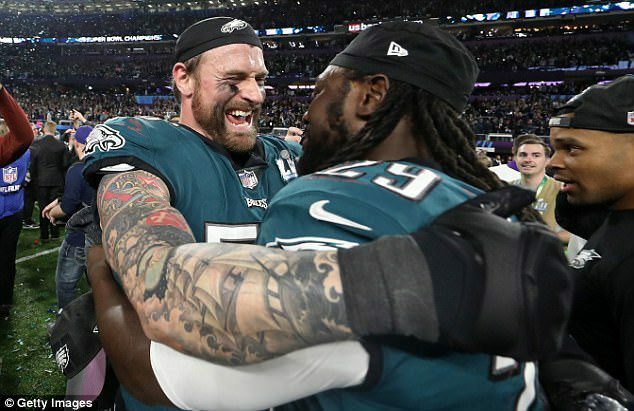 Defensive end Chris Long, who declined a visit in 2017 after winning Super Bowl LI with the Patriots, said he wouldn’t be going this year either. ‘No, I’m not going to the White House… Are you kidding me,’ Long said in an interview ahead of Sunday’s game. This isn’t the first time players have refused to visit Trump at the White House after their team wins. Last year Trump ended up withdrawing the invitation to NBA champion team the Golden State Warriors after their star-player and two-time MVP Steph Curry said he wouldn’t be there.